Recently a worker died when a 4500 litre fuel tank he was cutting with an angle grinder exploded. The tank had been stored in the ground for a number of years and had recently been removed for disposal. The employee was cutting the fuel tank to ready it for transport. Sparks or heat from the angle grinder may have ignited residual vapours in the tank, which then exploded. • The fuel tank may have previouslycontained a highly flammable liquid andpossible chemical residue. • Angle grinders produce ignition sources such as heat and sparks. • Do not use angle grinders or any other heat-producing equipment such as welders to cut metal tanks or drums that have or may have contained flammable or combustible liquids or flammable gases. • There is any doubt about the previous contents of a tank or drum, have the contents tested for chemical makeup. • Make sure tanks and drums are recycled by specialist cleaning companies. 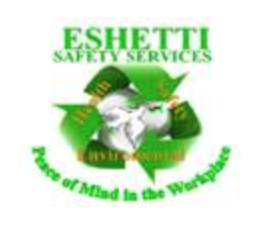 • Have Material Safety Data Sheets (MSDS) available for all hazardous substances at the workplace and provide this information to all employees who are likely to be exposed to these substances. • Provide adequate training and instruction to ensure that employees understand the MSDS information, especially employees who have limited understanding of English. • Treat all tanks and drums as hazardous or having contained an explosive substance or vapour.